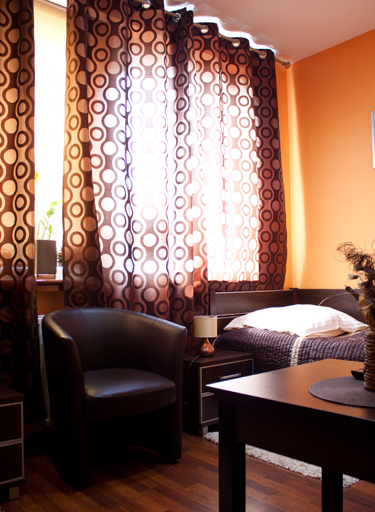 Integro Rooms are located in the city center. Location allows very convenient communication. It’s the perfect accommodation place either for people on business trips or on a vacation tours. We give at your disposal rooms with bathrooms in very high standard, keeping in mind as high customer convenience as possible. Each room is comfortably furnished and contains an LCD TV (SAT) and free of charge internet access. Safety is guaranteed by an all time guarded parking. Our customers can also use a Kitchenette with a refrigerator. In the vicinity of „Integro Rooms” there are located several restaurants. Check on the map © 2015 by Pokoje Integro. All rights reserved.